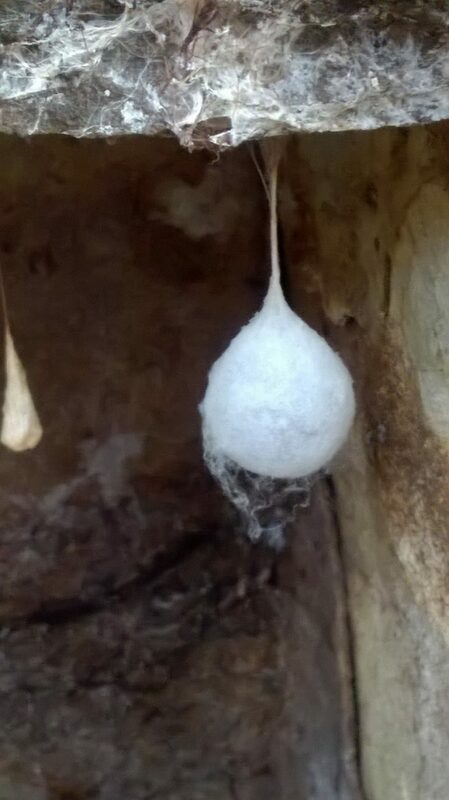 On 30th April 2017, Stuart Belshaw was undertaking a routine inspection of the sewage digester at Glencanisp Lodge (NC1122) when he noticed some large spiders together with several white, hanging egg cocoons. He collected one specimen of the spider since he suspected that it might be one of those that inhabit caves and similar habitats. 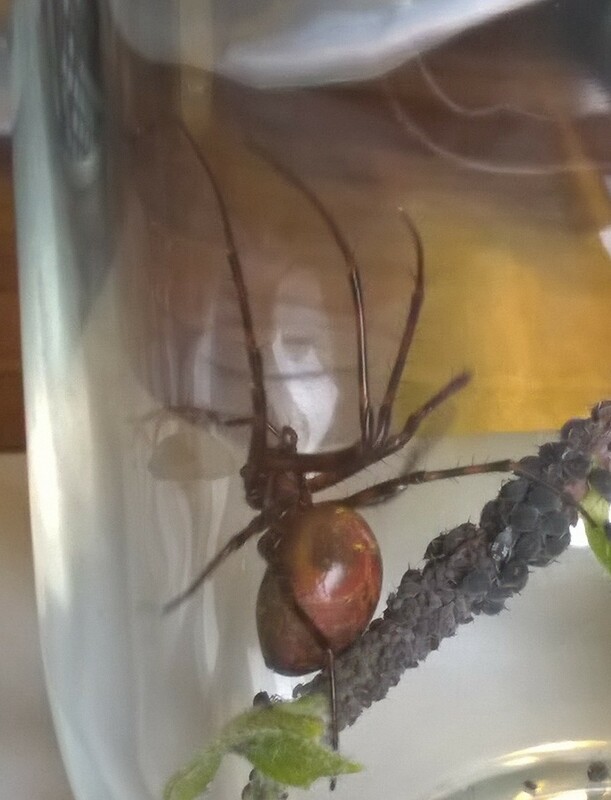 I have now had a look at the specimen and am able to confirm that it is an adult female cave spider Meta menardi. There is a closely related but rarer species, M. bourneti, and it was necessary to put the specimen under a microscope to be certain of its identity. This appears to be the first record of this species for Assynt, and West Sutherland as a whole, and the furthest north that it has yet been found on the west coast of Scotland. Records are sparse from the Highlands as a whole, perhaps because a combined interest in such creatures and access to their habitats is rare. Meta menardi is found in a variety of permanently dark, damp, habitats, both natural and man-made. The adults are mature throughout the year, but the large egg cocoons are usually noted on the roof of the habitat during the winter. The spiders feed on hibernating moths, mosquitoes, slugs, woodlice, millipedes and beetles. The young hatch from the cocoons in the spring and disperse as aeronauts, on long silken threads. However, given the small likelihood of them finding a suitable habitat, the wastage must be enormous.